I’ve always been intrigued by glycolic acid treatments and whether or not they are really that great for exfoliation and lightening acne scars and freckles. I remember having done a peel a couple years ago and it did seem like my skin was smoother and lighter but as it was a one off treatment I couldn’t really gauge whether or not it was effective. 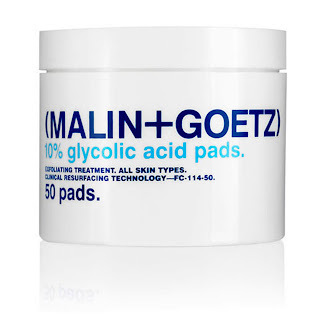 So when I saw that (MALIN+GOETZ) launched a 10% glycolic acid pads, it piqued my interest. Apparently it’s physician grade glycolic acid and it sloughs away dead skin to encourage cell turnover and collagen production. 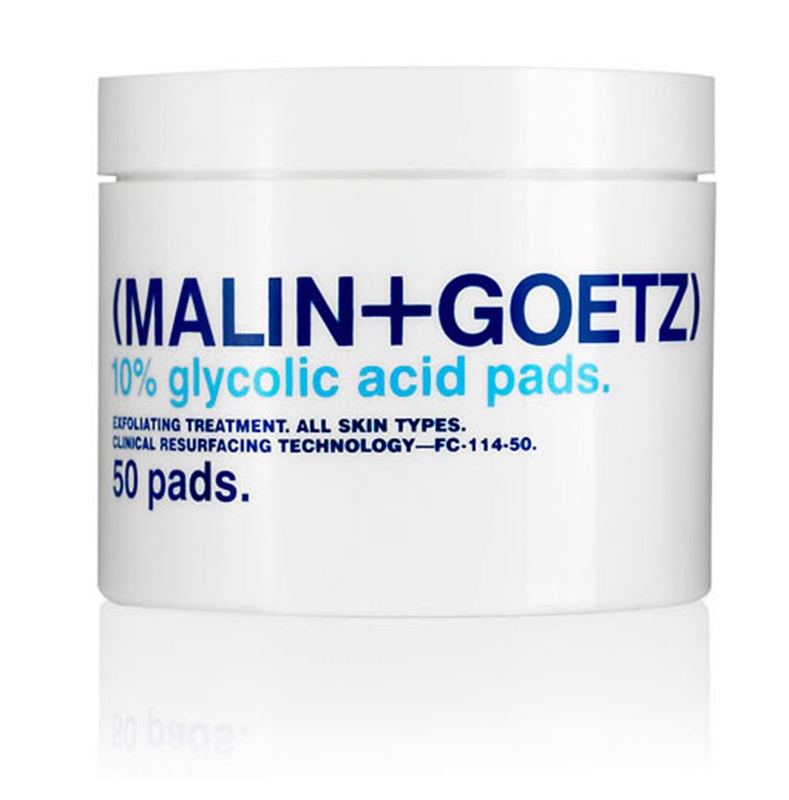 For those of you haven’t tried glycolic acid treatments before, I would recommend you try it on a small area first as I’ve heard of people having an adverse effect to it. Also, after treatment, be sure to apply the spf liberally as your skin essentially has lost its outer layer and you are more susceptible to sunburn. Priced at HK$420 for 50 uses and available at 10/10 Space.